Leeds, 1914. Sisters Julia and Margaret Wood are struggling to rise above devastating poverty, while the threat of war looms large over their community. Angry feelings about foreigners have reached boiling point; their German-Jewish father’s search for work proves hopeless, leaving entrepreneurial Julia to keep the family afloat by hawking homemade pies on the streets of Leeds. Her beautiful elder sister Margaret, an apprentice milliner and new member of the suffragette set, seeks a faster way out of the daily grind, pinning her hopes on a rich suffragette’s journalist son, Thomas. 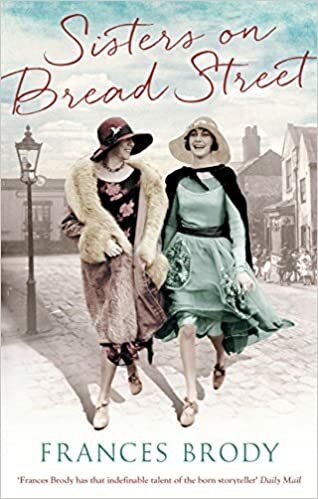 But as the war rages on, it is left to Julia to discover the true meaning of courage and family, as she learns to look forward to the start of the new day – and the promise of a better life ahead. Review: This book is a beautifully written historical romance – but I wouldn’t have expected anything less from Frances Brody. I’ve enjoyed all of her books – and this was no exception. Margaret and Julia are imperfect, yet lovable characters who draw you into the plot right away. I’d recommend this to anyone who loves the romance genre – particularly if you enjoy some drama too, because there’s plenty of that!